This is Brussels’ favourite English bookstore and also the first. Two floors of book on every category are present here. The fiction is on the first floor, everything else on the second. The ambience is attractive and lively. The staff is friendly. Buses 29, 66, 86, N04, N05, N06, N08, N09, N10, N11, N12, N13. N16 stop De Brouckere. Buses 29, 66, 71, 86, N04, N05, N06, N08, N09, N10, N11, N12, N13, N16, N18 stop Arenberg. Subway 2, 6, stop Rogier. A spot to get your English books and magazines. Make sure to go upstairs to find travel guides and history books that will make your visit to Belgium even more enjoyable. Interesting games and gift ideas are also on offer. Lovely store. It's nice to hear someone speak proper English once in a while. Also great costumer service. The best selection of English language books in Brussels. Nice atmosphere, and easy to navigate. They can also special order books that are not in stock. Unfortunately, in the age of online book purchasing, it’s hard for a store like this to compete on price. Expect to pay at least €20-€25 for a paperback. 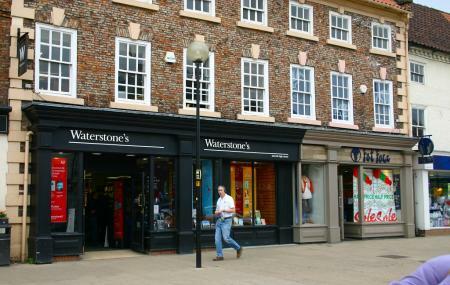 Very nice book store for English books. I love the variety of genres and the offers that they got. I believe it is a very unique place for English books and I would really recommend it. I bought a children's book for 0-3 years old and I am very happy with it. Excellent selection of English books, probably the best in Brussels. Very friendly staff. Central location, easy to reach.